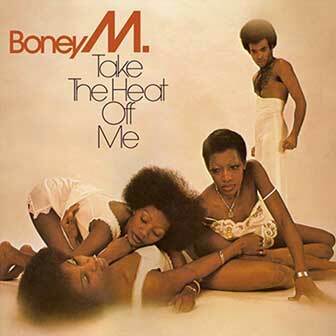 This long-player marked the album debut of one of the world's most successful disco groups, Boney M. Although they never found much success in the United States, they were a phenomenon overseas during the late '70s and this album makes it easy to understand why. They were the right group at the right time — their unique combination of rocksteady disco rhythms and infectious bubblegum pop hooks created a sound that anyone in any country could easily grasp and find appealing. Some may find the Boney M. sound to be too sweet, but the group's soulful vocals subtly add a little grit into the mix to keep the music from drifting off into the ether. The big hits from this album were "Sunny," a pulsating, string-drenched update of Bobby Hebb's pop-soul classic, and "Daddy Cool," a relentless groove that combines staccato violin stabs, mariachi horns, and an aggressive drum attack to create an irresistibly catchy dance-pop ditty. The other tracks offer a similar mix of poppy originals and odd covers: "Got a Man on My Mind" combines reggae rhythms and choral vocals to great effect and Boney M.'s cover of Bob Marley's "No Woman, No Cry" may seem preposterous in concept but works thanks to its effective combination of soulful vocals and slick instrumentation. "Baby Do You Wanna Bump," the only song that strays from the pop song format, drags noticeably, but the high quality of the surrounding tunes makes up for this flaw. Take the Heat Off Me won't win any new fans to the disco cause, but it remains an effective and likable slice of Eurodisco at its most effervescent. — Donald A. Guarisco. Baby, Do You Wanna Bump?